The Torch Awards, launched in 2014 to champion young creative talent, encourages creatives from the ages of 18-25 to take part in a unique competition that explores a creative challenge and offers mentor training on how to pitch their idea. This year's challenge is the 60-Second Spot. Based on a provided brief, entrants submit their idea for a 60-second video for the 2015 non-profit partner, The Project Solution. The Torch Awards Jury will evaluate the five Finalist Teams invited to New York City to present their ideas. Jury members will determine the winning Finalist Team based on the following criteria: relevance to and understanding of The Project Solution brand and mission; a clear demonstration of campaign goals and strategy; adherence to the brief, including scope and budgets; and creative idea. Members of the Torch Awards Jury were recruited from the World's Best Advertising Executive Jury of worldwide chief creative officers and executive creative directors, and from The Project Solution team. The Project Solution is a non-profit organisation whose philosophy is centred on the idea that small solutions can make a big impact. The results: 5 years, 22 projects, 11 countries, and more than 12,000 lives changed. The five Torch Awards Finalist Teams will convene in New York City on 20 May to participate in an intensive mentoring session with NYF Executive Jury mentors. Following the mentor session, Finalists will go before the jury and pitch their creative campaign promoting The Project Solution's mission. The Grand Winning team will be announced live at the New York Show gala on 21 May. 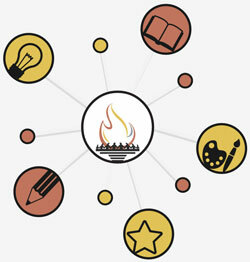 For more information on the Torch Awards please visit: the Torch Awards website and for more information on The Project Solution please visit: http://theprojectsolution.org.